The volume of hate speech in the United States has been rising sharply. President Trump spews vitriol as a favored campaign tactic. 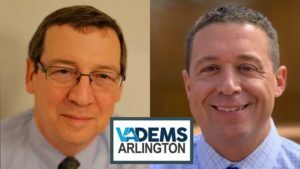 Republicans’ nomination of Corey Stewart for Senator from Virginia will further amplify this talk, as his main message is one of white resentment. The growth of hate speech has fostered a parallel, truly dangerous, and under-reported growth in hate crimes. Two consecutive years of 5 percent increases produced a 10 percent increase in U.S. hate crimes between 2014 and 2016. Decent people must speak out against hate speech and hate crimes before this behavior becomes normalized. A quiet frown and a shake of the head are not enough. While data on hate crimes suffers from inconsistent reporting, overall patterns are clear. The largest number of religion-based attacks in the U.S., almost half of the total, are against Jews. Anti-Semitic incidents soared 57 percent in the United States in 2017, reaching their highest level in the nearly forty years that data have been collected. The attacks ranged from harassment of Jewish children in schools to desecration of Jewish cemeteries. They included ugly public demonstrations by neo-Nazis, such as the notorious 2017 demonstration in Charlottesville, where marchers yelled anti-Semitic slogans from Nazi Germany. Muslims are more likely than other religious minorities in the U.S. to face direct physical threats. Assaults against Muslims rose by 40 percent from 2015 to 2016, rising for the first time above the peak set in 2001. Reported incidents of intimidation of Muslims, severe enough to generate fear of bodily harm, rose by 17 percent. Offenses of all types, including vandalism, against Muslims rose 19 percent in 2016, on top of a 67 percent spike in 2015. In 2016 there were also religion-based hate crimes against members of virtually every other religion, as well as hate crimes against atheists. No group is exempt. Nearly 60 percent of hate crimes are based on the victim’s race or ethnicity. While the rate of hate crimes against blacks has not been on the rise, blacks have long been and remain the most frequent target of these crimes. Fully half of all racially based hate crimes in 2016 – 30 percent of all hate crimes – were based on racism against black people. Data regarding hate crimes against other racial and ethnic groups is unreliable, but it is clear that attacks on ethnic minorities other than blacks and on immigrants generally are sharply up. There are also occasional racially-based attacks on whites and on members of smaller ethnic groups, such as Native Americans and Pacific Islanders. Again, no group is exempt. Hate crimes based on sexual orientation have surged in recent years; today one in six hate crimes is based on hostility to members of the LGBTQ community. The 2016 massacre at the Pulse nightclub was not categorized as a hate crime, and had it been, the percentage of hate crimes based on sexual orientation would be even higher. In some cities, including Washington, D.C., in 2016 over half of the victims of hate crimes were targeted because of their sexual orientation. Widespread hate speech creates a climate that fosters hate crimes. Do your part to discourage these crimes by taking action. SPEAK OUT. Speak out whenever someone around you makes a cruel joke or a hurtful comment based on someone’s race, religion, ethnicity, or sexual orientation. Don’t tolerate slurs. REPORT ALL INCIDENTS. Report all incidents of suspected hate crimes. If you or someone else is in immediate danger, call 911. If you believe that you or someone you know has been the victim of a hate crime, report the incident to local law enforcement and the FBI. TEACH YOUR CHILDREN. Engage your children proactively on this important topic. Tips for talking to children about hate speech have been published by the Equal Justice Society. Go to talktokids.net. SPREAD THE LOVE. Spread a message of love and acceptance through a homemade sign on your lawn, window, or car. 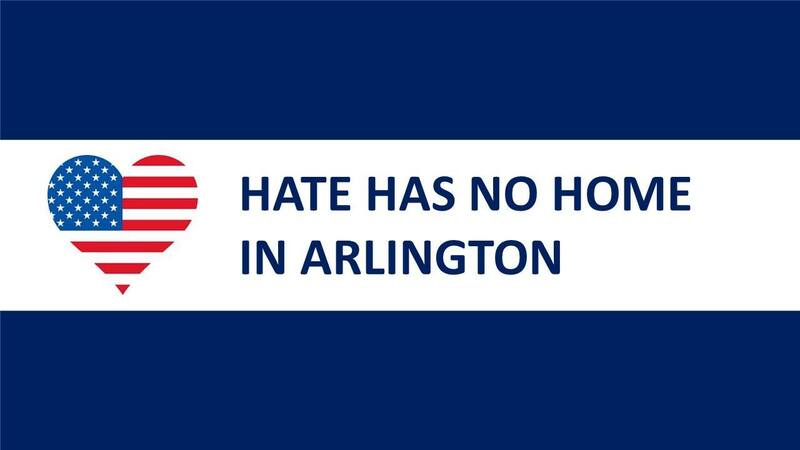 You also can purchase a “Hate Has No Home Here” sign or car magnet from Democratic Precinct Captain Chris Ota DeRosa, who offers them for modest suggested donations ($3-10) to cover replenishment costs. 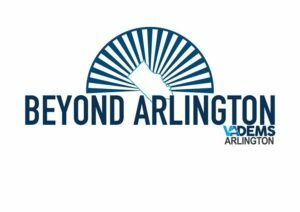 Chris will have a supply of signs and magnets with her at the next general meeting of the Arlington Democrats on Wednesday, July 11, at 7 pm (4301 Wilson Blvd).